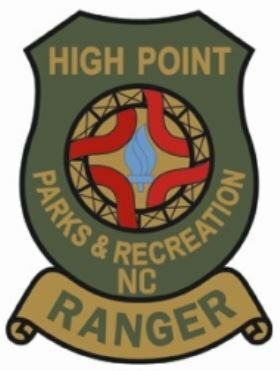 High Point Park Rangers are dedicated to serve all citizens who visit our parks and our goal is to make sure everyone has a safe, pleasant and enjoyable time. For the purpose of making arrests and issuing citations for City, State or Federal law violations, all Parks Rangers are sworn law enforcement officers certified by the State of North Carolina. The Park Ranger section currently staffs one Chief and four patrol Rangers. Rangers use various patrol techniques including patrol cars, mountain bikes, boats and foot patrol to maintain watch over city and community parks, recreation centers, lakes, golf courses, trail, natural preserves and playgrounds. For an immediate response to emergencies, please call 911. For non-emergency assistance, please call 336-883-3224. For inquiries and information about the High Point Parks and Recreation system, please call 336-883-3469.